I recently went to Myanmar and flew from KL (LCCT) because we don't have direct flights going there from Manila. To make the most out of my first day in Myanmar, I decided to take the earliest AirAsia flight out to Yangon. 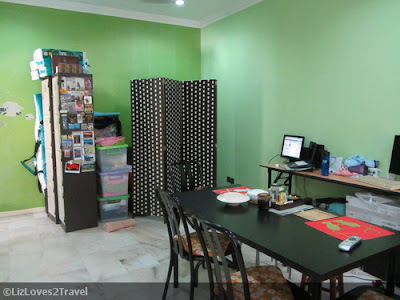 Instead of staying at the city center, I opted for a place near LCCT to save on travel time. I checked Tune Hotel LCCT and the rate was around RM 150.00! Yes, that was just for a night with 12-hour air conditioning. Extra fees will be added if you'll rent their towels and toiletries and if you're going to use their wifi. Crazy, right? I recalled one CouchSurfing member recommending this one hostel a few months back and I'm glad I saved the link. So I checked its reviews in TripAdvisor and found out nice things travelers said about it. Moon Eleven Hostel don't have their own website. I booked my reservation with them through Booking.com because they don't require credit card information and deposit payment. Booking a reservation is hassle-free. A few hours after you confirmed your booking, Jessy (the hostel owner) will email you with all the info you need to know and a very detailed direction on how to get to the designated pick-up area. She'll pick you up with her car at the Salak Tinggi ERL Station which is just 20 minutes from LCCT. Her hostel is just a few minutes from there. She'll do the same when you're going downtown or back to the airport. Yeah, anytime with no extra charge. The rate per night for the dorm is RM 50.00. That's much better than staying at the overly expensive Tune Hotel. The beds are comfy and the rooms are very clean. Actually, the entire house is so tidy. The place was so homey. It really was one, she just converted it into a hostel barely a year ago. 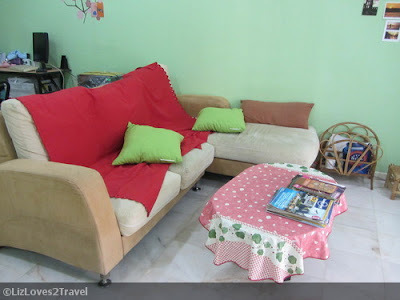 There's TV at the living room and also travel magazines which you may find interesting. And of course, there's free wifi in the entire house which has awesome speed. You may use the kitchen to prepare instant food or your coffee. You can not cook though. You may use the microwave oven to reheat your take out meals. Drinking water is free. There are also canned drinks in the fridge that you may purchase for RM 2.00. Jessy also allows her guests to use her computer if they need to. You can see her computer station in the corner there. Like if you need to book a flight or print your itinerary, just let her know. Bathroom is common for everyone. 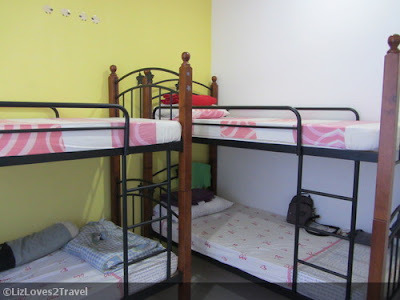 But don't worry, it's a pretty small hostel so you won't have queuing problems here. 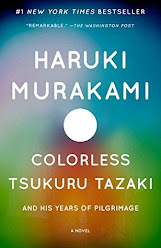 Her house is located in a very pleasant and quiet neighborhood, exactly what you'll need if you're just staying in between your connecting flights or catching the earliest flight out the next day (like me). Restaurants are located a few blocks away. I enjoyed my 20 minute walks going to and from there. Convenience stores are also located in that area. So, everything you may need, you can find in that commercial area. I am pleased with my stay in this hostel. Jessy is very helpful, a little straightforward but it was all good. I see myself re-staying here if ever I'll have early flights out from KL again. 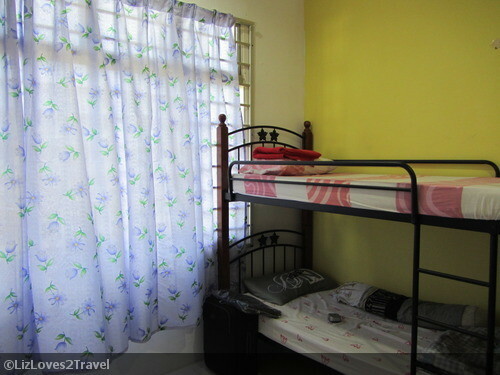 So, if you're looking for an inexpensive place to stay near LCCT or KLIA, this could be it! 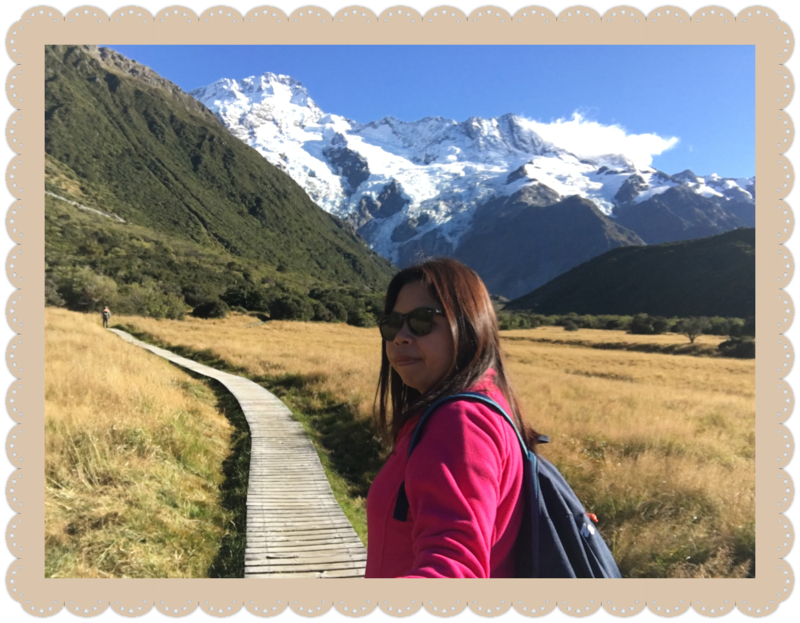 Not only you'll be saving a big chunk of your travel budget, you'll also save travel time and you may rest well for your journey forward. Booking Sites: Booking.com, Agoda, Hostelworld and HostelBookers. 50 ringit for dorm ???? in chinatown ull find single with aircon for that. nice and clean one. Well, the keyword there is "near LCCT". I'm very specific in my title. You're paying for its proximity to the airport. I'm very much aware that Chinatown has the cheapest dorm rooms. I've been to KL many times. 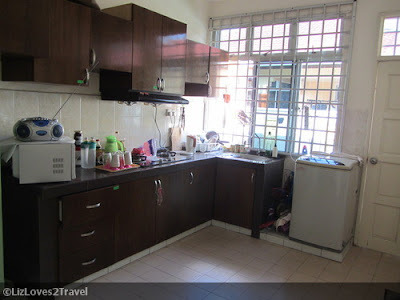 The target of this post are travelers who wants the convenience of staying near LCCT not those who are just looking for the least expensive accommodation in Kuala Lumpur. I wud consider RM50 quite reasonable considering the close proximity to airport, plus owner provides free transit to Salak Tinggi. If anyone still thinks it's expensive, might as well put up on one of the benches at the airport itself.